I have a couple more days left out at beach, but we had a lovely dinner Saturday night that I just had share. Despite my love for great food, I am actually not a big cook. 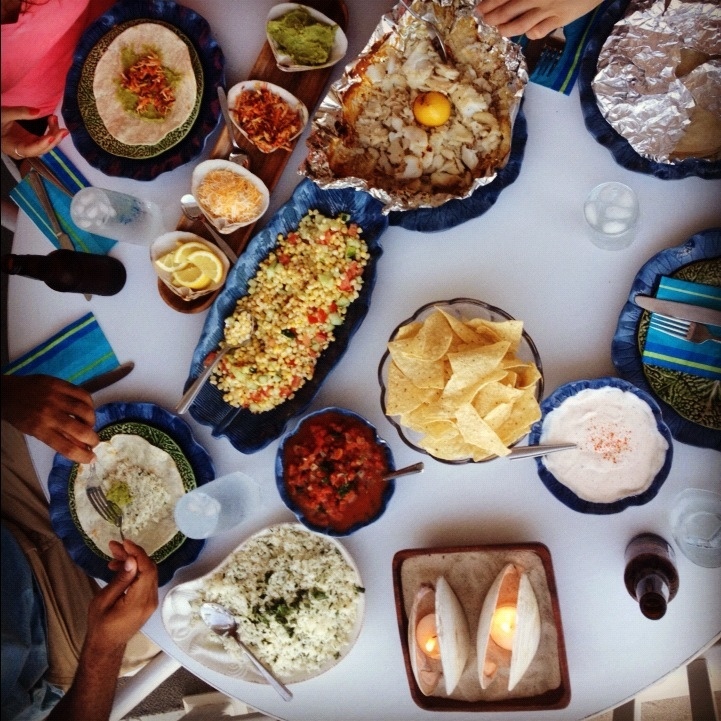 My other half is really the one who kills it in the kitchen, and I consider myself a great sous chef and the one to pull it all together and “make it pretty.” After a little time on google and pinterest, I pulled together a fun Mexican menu we enjoyed al fresco on the porch. All of these fresh and light flavors really worked well together and it was perfect after spending a day in the sun. I was able to take a photo before everyone dug in!